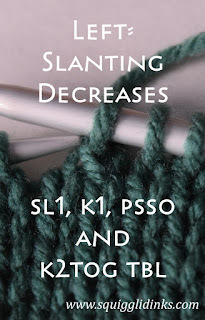 For my final post on decrease stitches, I have a couple of left-slanting decreases as alternatives to ssk. 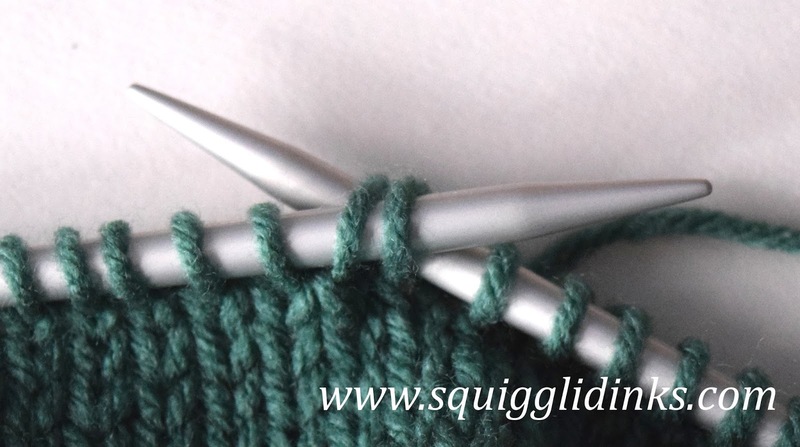 The first one, which you may see in patterns instead of ssk, is sl1, k1, psso, or slip one, knit one, pass slipped stitch over. Now, pass that slipped stitch over the knitted stitch the same way you would if you were binding off. 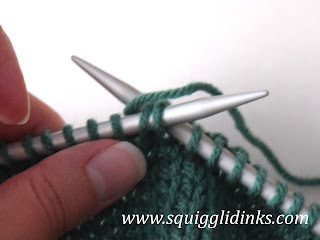 Slide the right needle through the first two stitches on the left needle from right to left as though you were going to p2tog, but instead of the right needle coming out of those stitches in front, it comes out in back. 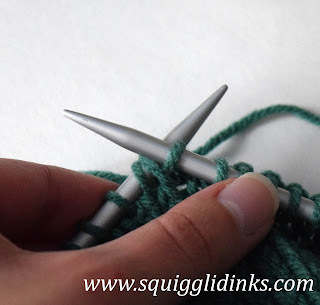 Wrap your working yarn around the tip of the right needle as you normally would to knit. Now, catch that yarn with your right needle and pull it back through those two stitches (again, as you normally would to knit, you’re just coming at it from a slightly different angle). 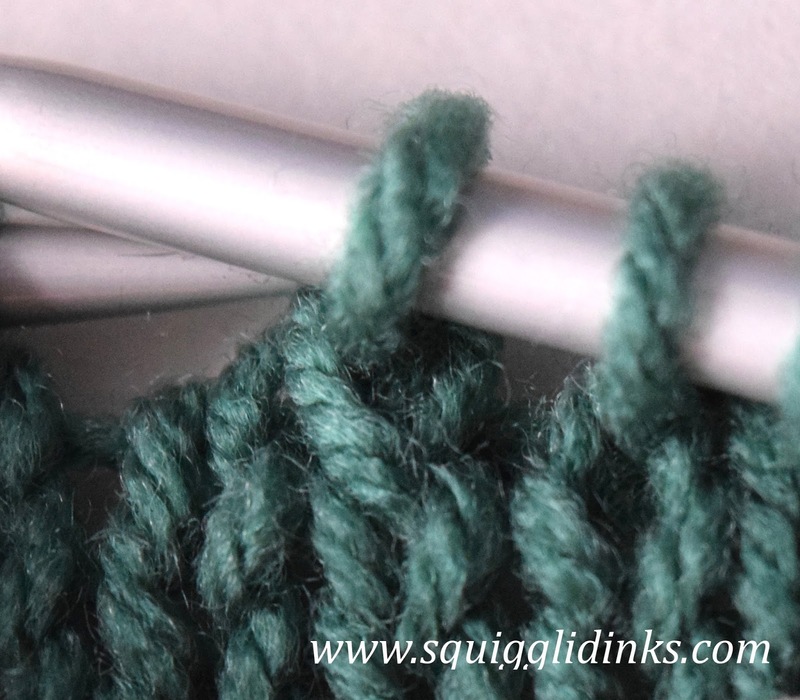 There is a slight twist to the stitch, which may not be ideal for all projects, but it’s a pretty simple stitch. 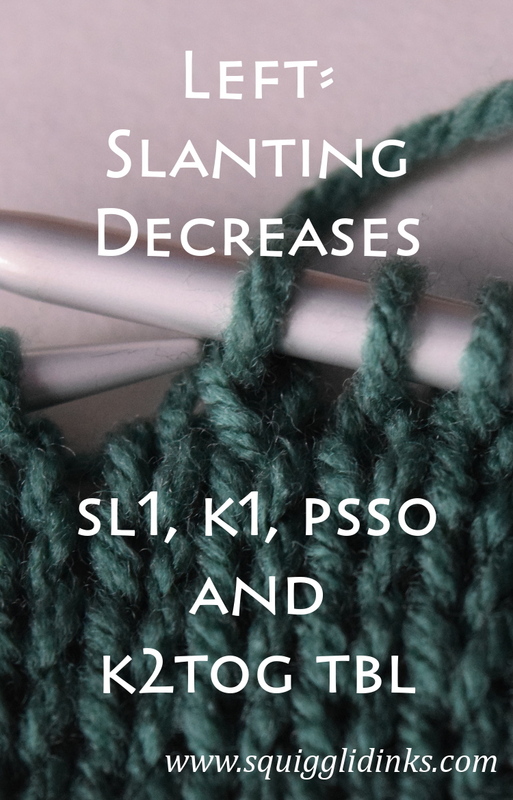 I think my favorite left-slanting decrease is still ssk, but give these two a try. Which do you prefer?